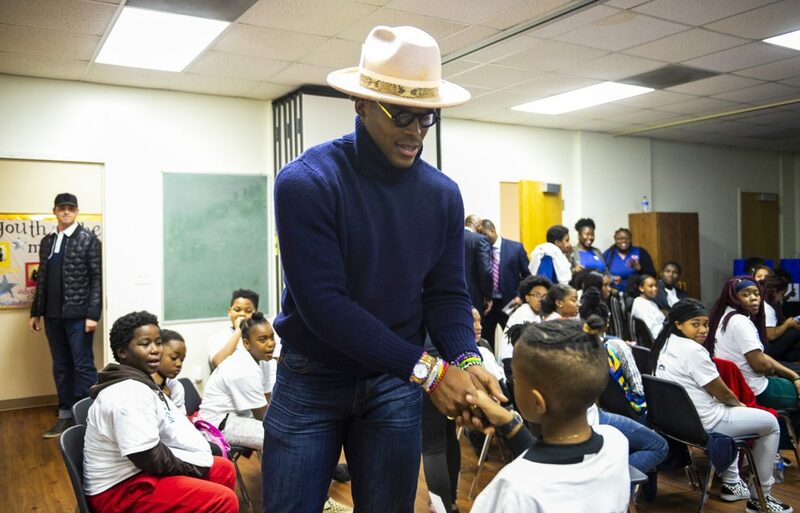 When Cam Newton was growing up in Atlanta, he didn’t have a Boys and Girls Club near his house – so he and his brother Caylin would spend all day at a park nearby; when his mother Jackie didn’t know where his sons were, the answer was inevitably the same. The Newtons were at the park – having somewhere to go, a place of refuge, was something that helped Newton make good decisions and put him on the path to eventually become a highly-touted college prospect, win the Heisman Trophy and get selected #1 overall in the NFL Draft. 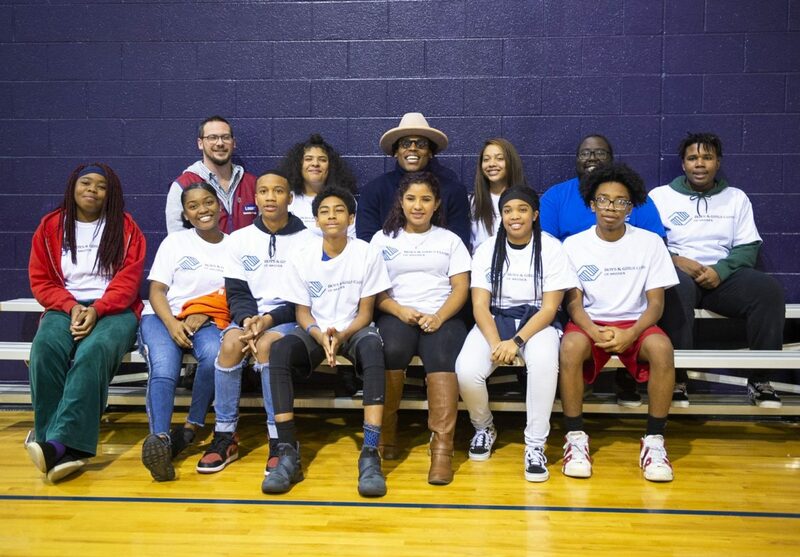 The Cam Newton Foundation and Lowe’s have partnered with the Boys and Girls Clubs of Greater Charlotte to provide hands-on support to complete critical repairs at four Boys and Girls Club Teen Centers across the Greater Charlotte area, the goal being to improve the centers that provide a safe, educational and fun environment for the kids to spend time in. During the event Monday, ambassadors from four of the centers presented their plans for renovations and then pictures of the finished products to Newton, who answered questions from the kids aged eight to 17, joking about who was the swaggiest on the Panthers, feigning anger when he heard one of the kids was a Steelers fan or revealing what he does when he feels stressed out – like after a tough loss on Thursday night. The answer sounds like something echoed throughout the world: junk food. Sharing similarities with the kids who spend time at the Boys & Girls Club was one of Cam’s intentions for the night – the 29-year old reminisced over a time when he attended an event with former Braves outfielder David Justice just after his hometown team had won the World Series. Newton would have been six years old at the time, a few years younger than the crowd at the event tonight, but at an age where interests can be sparked. The renovations to the teen centers, which feature new furniture, paint, lights, video games and surge protectors for the kids to charge their phones, were officially “boogie-approved” – not only for their style, but for the opportunity that they provide the kids to get off of the street and into a safe environment. Thanks to the CNF, Lowe’s and the Boys and Girls Club of Greater Charlotte, so will those kids.